Last Saturday night, in the main event of the exciting UFC Wichita card, former UFC heavyweight title challenger Derrick Lewis returned to the cage for a high-stakes collision with Junior dos Santos. Regrettably for Lewis and his ever-growing fanbase, this bout did not go the way he planned. Though he was able to land one of his patented nukes on dos Santos in round one, the Brazilian survived and ultimately sealed the deal with a strafing of his own in the second round. According to Helen Yee, however, Derrick Lewis was not at 100% in this fight — nowhere near. “The Black Beast” reportedly entered the fight with a litany of knee problems. This is why his coaching staff was so adamant he finish the fight in round two. They apparently suspected his knee simply wouldn’t hold up any longer. In a followup Tweet, Yee added that Lewis’ team did not intend to make excuses for the loss, but instead merely shed light on his condition. PLEASE NOTE: They are not making excuses at all, just informing me what happened. “PLEASE NOTE: They are not making excuses at all, just informing me what happened,” Yee added. Whatever the case, this information is bound to be received in two starkly different ways by the MMA community. Some will see it as a reason to praise Derrick Lewis for his toughness. Others, despite Yee’s best efforts, will see it as excuse-making. Nonetheless, Lewis remains one of the premier players in the perilous UFC heavyweight division. While he’s likely to take a bit of the tumble in the rankings, he’s still a fixture of the top-10, and after recent wins over Francis Ngannou and Alexander Volkov, he can look forward to more big fights in the division. 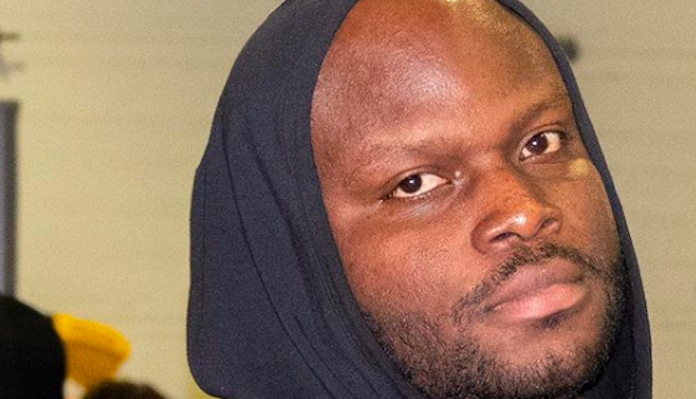 Who do you want to see Derrick Lewis fight when he’s all healed up? This article first appeared on BJPENN.COM on 3/11/2019.